With Zinio, you can read the latest magazines online for free and keep them for as long as you like. 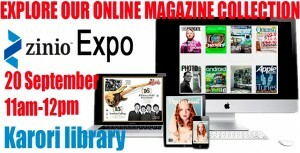 To find out more about this eMagazine collection, don’t miss the Zinio Expo happening at your branch libraries. With Zinio, Wellington City Libraries’ members can borrow as many emagazines as they like for free, and keep them as long as they want – with no overdue fees. There’s a wide range of magazines – including photography, business, sports, news, crafts, lifestyle, computers, music, and more. Titles include the Economist, Amateur Photographer, OK Magazine, Australian Vogue, Taste, Rolling Stone, and NZ Life and Leisure among many others. 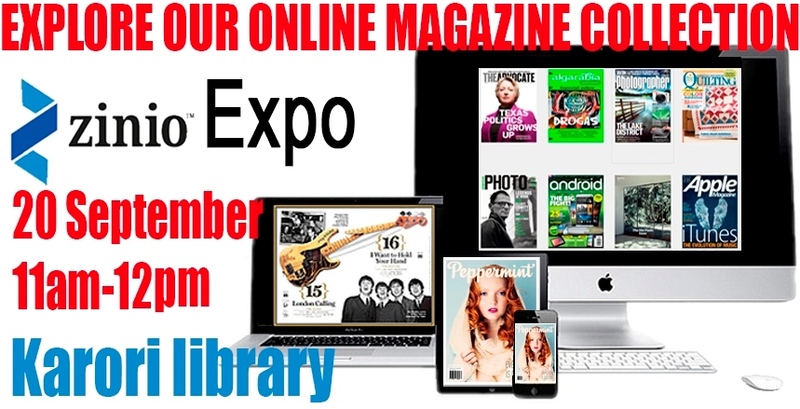 We’d love to see you at the expo, but if you can’t be there, you can find out more information about how to access and download Zinio eMagazines here, or just ask for help at any of our libraries. Previous Post Read an eBook for #eBookDay!